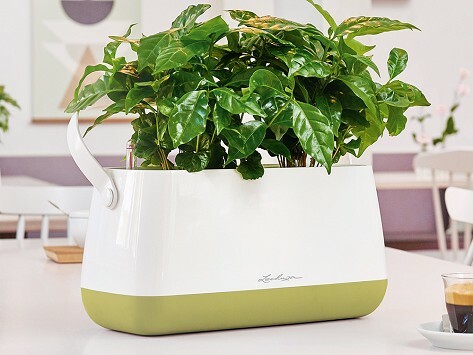 This self-watering indoor planter makes it super easy to enjoy plants in your home or office—and keep them thriving—with very little effort on your part. Drop two store bought plants (still in their plastic pots) into the modern-looking planter and fill the water reservoir. That’s it—your greenery is good to grow for up to 12 weeks. How easy is that? Dimensions: 6" x 14" x 12"